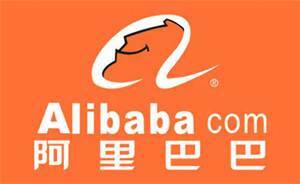 Chinese e-commerce giant Alibaba Group Holding, along with its payments arm, Ant Financial Services Group, had made a strategic investment in mcommerce platform, Paytm, run by One97 Communications. The deal value have been remained undisclosed, however as per the sources Alibaba was investing about $680 million into the payments processor and marketplace. This led Alibaba group's total investment in Paytm to around $900 million, including previous round of funding by Ant Financial. In Feb this year, Ant Financial had acquired a 25 per cent stake in One97 for an undisclosed amount. As per the new agreement Alibaba and Ant Financial would each hold 20% stake in Paytm and collectively the Alibaba group would have a 40% stake in the company, as per the sources. The stake of Vijay Shekhar Sharma (founder, Paytm) have come down from 26% to 21%, while Saif Partner's stake is down to 30% from earlier 37% stake. The latest round of funding will allow Paytm to achieve scale and develop its vibrant mobile commerce and payment ecosystem in India and invest in marketing, technology and talent, One97 Communications said in a statement. Investing in Paytm will enhance the ability of Alibaba and Ant Financial to tap opportunities in India's fast-growing mobile e-commerce marketplace and digital finance industry, it added. "India is an important emerging market with strong e-commerce potential, and we look forward to partner with Paytm to deliver innovative products and services to consumers," Alibaba Group CEO Daniel Zhang said.